It is well known that a person’s fashion and style sense can send a message to the world about who they are and what they stand for, and we’re not just talking about t-shirts with logos or statements on them. We’re talking about the way iconic women throughout history have been known for their carefully chosen “uniform” as well as the work they are doing – think Hillary Clinton‘s pantsuits, for example. But it’s not just the women we see in the public eye that are making a statement. The magic-makers behind the scenes creating these iconic looks for powerful women are an important part of the equation, especially in a world where women are still being scrutinized for the way they look and dress in a way that men are not. We recently had the opportunity to speak with a woman who is styling some of the most powerful and influential women in Hollywood, and who has an inspiring story of her own to tell. 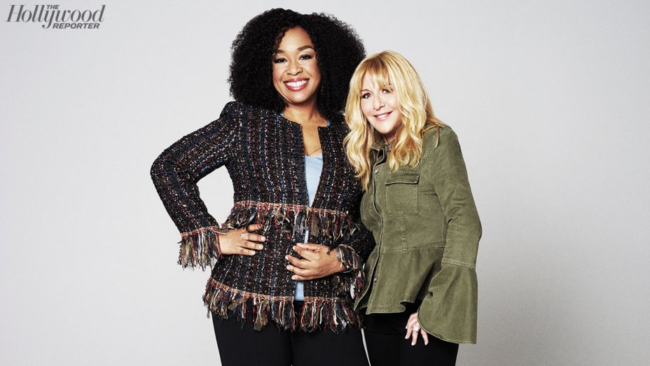 Dana Asher Levine is the woman behind some of Shonda Rhimes‘ outfits, as well as Fox Television Group chair and CEO Dana Walden, creating looks that make a statement and convey power from the boardroom to the red carpet. 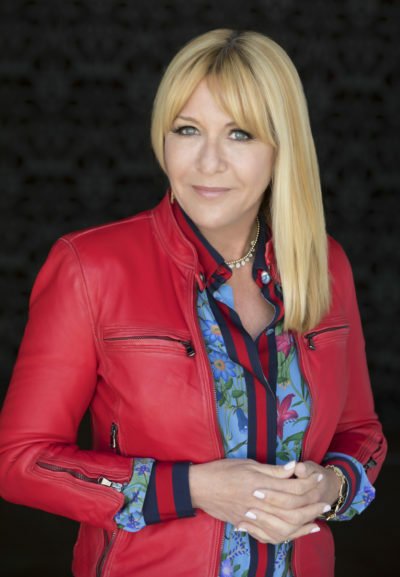 Dana’s approach differs from the Rachel Zoe’s of the industry with her passion for dressing the “real woman” at every size and age. She specializes in clothes for all body types and straddling age-appropriate without losing confidence or femininity. At the age of 40 years-old, Dana had no professional styling experience, outside of finding joy in shopping. She was going through a toxic divorce and needed to find a way to provide for her children after leaving her marriage. She built her empire from zero at an age where it’s not traditional to reboot your life and career. She now handles about 250K USD per month in styling and personal shopping for Power Women clients. Here’s what she had to say about fashion, Hollywood and how style is an essential part of a woman’s confidence. You have been called the “Hollywood style whisperer” by the industry for your work styling notable women in film and TV. What characteristics do you specifically look at in a client when you work with them for the first time? A woman needs to feel comfortable in their clothing. That makes them feel confident. So, the first time I work with a client we meet in their closet. The first thing I ask is to see their most favorite clothing item. This gives me the opportunity to get a feel for their comfort zone regarding their style. I then take that style and build on it. I don’t try to change their style, I just want to amp it up a little, while still making them feel comfortable. You are well known for dressing a number of female executives, including mogul Shonda Rhimes. What are some of her go-to style favorites that you helped include in her power wardrobe? 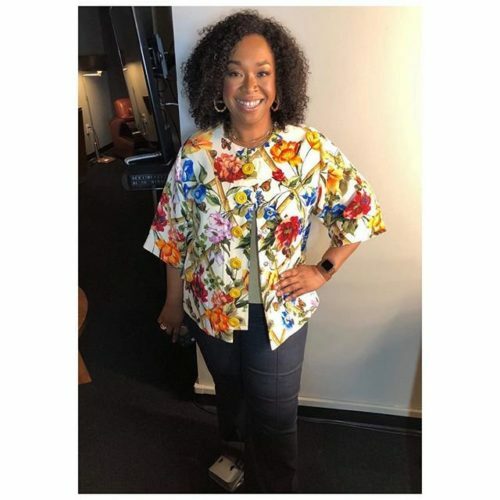 Some of Shonda’s style favorites include a flared St John pant, Parker Smith jeans and the perfect A line dress. Can you talk to us about how what a woman wears, especially in a professional setting, can convey a certain type of message? It is a double standard, but I feel that everything is still more difficult for a woman, especially dressing for work. A woman who is appropriately dressed for the workplace typically has more confidence, and can help a woman feel more empowered to do her job fearlessly. While keeping personal style in mind is important, wearing clothes to work that are intended for a night club or a bar can portray someone who is more interested in their personal life than their work. Wearing leggings and a shirt can convey someone who doesn’t care about their appearance or their job. A woman who dresses like a man may be conveying that they just want to fit in and not rise to the top. But, the woman who carefully plans her wardrobe with lots of thought and effort shows confidence, capability, and in my experience, these are the women who have risen to the top. We seem to be moving past the era where women feel pressured to dress or act like men to be taken seriously in the boardroom. How is fashion and style playing a role in this shift? There are many more clothing options for women now than in the past. The boxy men’s suits that women in the eighties felt compelled to wear to be successful are a thing of the past. Woman can now wear most anything that makes them feel confident. From dresses, to skirts, to fitted suits to skinny jeans. As long as their intelligence and confidence shows through, it does matter as much what they wear (as long as appropriate). Your business started at a difficult time in your life – going through a divorce and looking for a way to provide for your children. Can you tell us about building your empire at age 40, and how these experiences shaped your style career? I came to create my business a little bit later in life, when it is less traditional to do so. This was initially born out of necessity. I was going through a difficult divorce, and had to find a way to provide for my children. A friend of mine loved my outfits, and asked if I would consider shopping for her – and she would pay me to do so! With that, the idea for my business was born, and I earned high-profile clients simply through word of mouth. Who is your ideal client and what kind of body shape do you typically work with? My ideal client is someone who allows me to make them feel comfortable and powerful. For the average woman who doesn’t have the time or budget to spend on expensive clothes, what advice would you give them to get the most out of their wardrobe to make the best impression in the workplace? First, I recommend setting a budget, whether it be $200, $500 or $2000. Then work backwards from there. It is like a puzzle. You have to place the pieces you have to make it all fit. The most important items to have are a great pair of black slacks, a perfect white blouse, any jacket style that makes you feel comfortable, and the perfect flat shoe and the perfect heel. How can dressing to suit your body shape and cultivating a unique style boost a woman’s confidence? In today’s world there are so many options for women from petite to big and beautiful. It’s not about body shape or a unique style, it’s about what makes a woman feel beautiful and confident. Each woman should have their own idea of what makes them feel good. A question we like to ask all our interviewees: what makes you a powerful woman? I feel most powerful when I can make other women feel powerful and confident.